Terrelle Pryor‘s tenure with the Jets has ended… for now. ESPN’s Adam Schefter tweets that the organization is releasing the veteran receiver. Pryor has a tear in his groin and is expected to be out for the next two weeks. Schefter notes that the organization would be interested in bringing Pryor back, but they’ll likely face competition from other teams. The Jets reached an injury settlement with Pryor, per ESPN.com’s Rich Cimini (on Twitter). 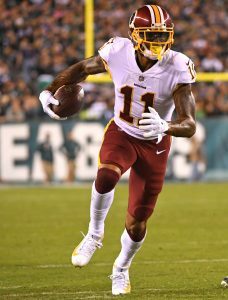 Pryor is a vested veteran, and at this point on the NFL calendar, such players do not have to pass through waivers before hitting free agency. While select other teams may eye Pryor as a possible depth piece once he returns to full health, his stock has dropped since his breakout Browns year. The well-traveled quarterback-turned-wideout battled ankle injuries in 2017 and this offseason, and the Jets weren’t using him too much earlier this year. Pryor complained about his role at the beginning of the season but stood to make a bigger impact while Quincy Enunwa is out with a high ankle sprain. With both Enunwa and Pryor out of the picture, the Jets’ once-deep wide receiver group is depleted going into Sunday’s game against the Vikings. Gang Green will turn to 2017 starters Robby Anderson and Jermaine Kearse as its top targets in Week 7. Pryor’s release means, as of right now, only four wideouts — the aforementioned duo, Andre Roberts and Charone Peake — are on the Jets’ active roster. While Pryor has not returned to his Browns form, he could have helped the Enunwa-less Jets. He’d caught touchdown passes in each of the past two games, hauling in five passes for 57 yards in the Jets’ Week 6 win over the Colts. 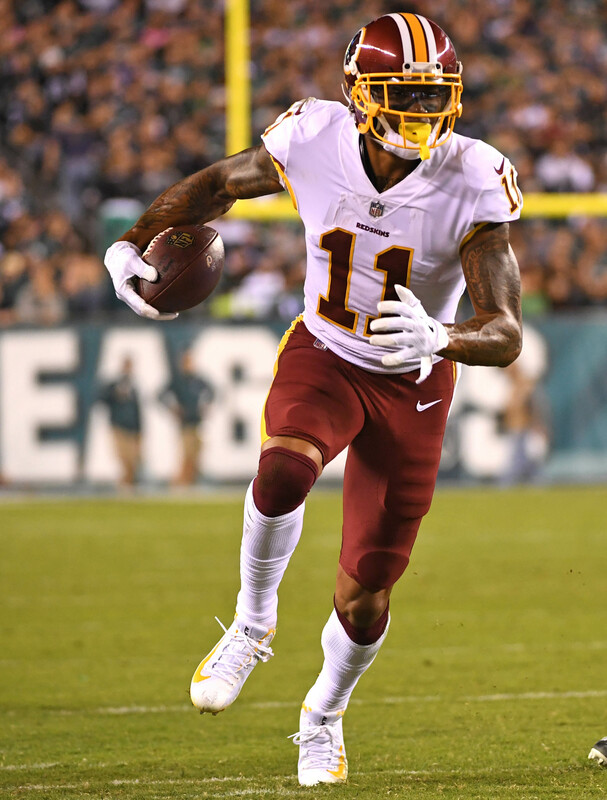 For the season, Pryor has 14 receptions for 235 yards. The former Ohio State quarterback standout was an in-demand free agent in 2017 after breaking out for 1,000-plus yards with the ’16 Browns but settled for a one-year deal with the Redskins. A lack of production and an ankle malady made him a less coveted target this offseason, but the Jets did battle other suitors in signing Pryor to a one-year, $4.5MM deal. They could have to do so again if they want to bring him back. Ohio State…might need to help out for the year, Coach meyer. I think either the Colts or Browns should sign him. I think the Browns would get the most out of him. He had success with Hue before, Hue knows how to use him and it seems other teams have a hard time getting the most out of him. I’d like to see them bring him back. I’m a fan of the guy and I really think he still has it in him to be a decent WR I. This league in the right system with the right QB and I think with Hue and Haley coaching him and Mayfeild throwing to him he would do good!